Our first fall squash is almost ready to harvest. Any day now, the butternut squash and sugar pie pumpkins will be clipped from the vine with pruning shears. The orange, heavy fruit will then lay right there in the field for a week or so to allow it to harden up. It's the first day of autumn and our thoughts are turning to traditional fall flavors like apples and cinnamon. 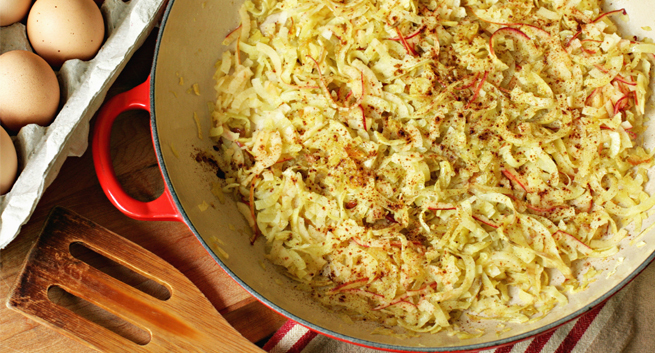 These sweet potato and apple "noodles" put a fun twist on your typical breakfast and are the perfect dish to ring in the new season! Food Tank, in partnership with the Sacramento Convention & Visitors Bureau, Farm-to-Fork Program, and University of California, Davis, is excited about the 1st annual Farm Tank Conference in Sacramento this fall. The two-day event will feature more than 35 different speakers from the food and agriculture field. Researchers, farmers, chefs, policymakers, government officials, and students will come together for interactive panels. Our chief farmer, Thaddeus Barsotti will be one of the speakers at the summit. He recently had the opportunity to speak with Farm Tank for a little Q&A session. Summer is winding down, but it’s still warm on the farm – temps in the low 90s continue. I stood on a dirt road between my winter squash and leek fields talking on my cell phone. The sun was baking the ground, and the protection provided by my wide-brimmed hat and sunglasses was not doing much against the energy that was radiating off of the dry, reflective soil. Finally, the conversation ended, and I could focus on looking at the progress of my two slowest-growing crops. 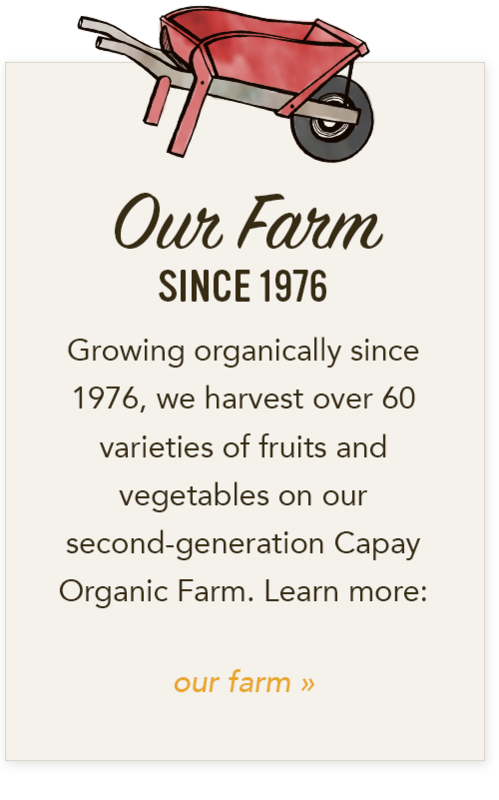 Because we work with local farms, we offer an array of delicious jams and preserves, from Laura Ann's Blackberry Bay Leaf Jam to our very own Capay Organic Aprium Jam. But other than adding a dollop to your morning toast, a lot of people aren’t sure what to do with it. 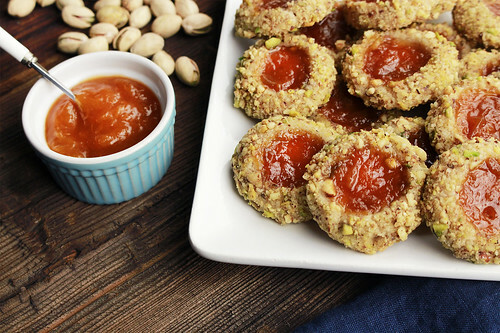 Well, do not fret, we have a few scrumptious recipes featuring this sweet treat that will spark your creativity and have you thinking of jam as an ingredient to kick your recipes up a notch. There are not many things that are more beautiful to me than the sight of a clean field populated with healthy crops - absent of weeds. Planting equipment is always linear, planting straight and evenly spaced lines of seeds or transplants on a bed of soil. This makes it really easy to see the crop we planted. If everything is beautiful, then my carrots, which are six lines to a bed, can be seen as six, evenly spaced, green lines, separated by a few inches of dirt that varies in color from light brown to black, depending upon how long ago the sprinklers ran. 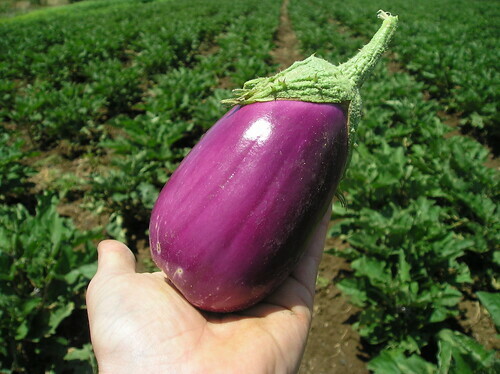 Although it is getting late in the season, eggplants are still producing like the little overachievers they are. A lot of our customers will ask about our favorite way to prepare eggplant, and without hesitation, we say Baba Ghanoush, and not just because it's so fun to say. We're sharing two variations of this eggplant dip, one very traditional, and the other with a little twist and an ode to summer’s lovely heirloom tomatoes. Give them both a try and let us know what you think. Thank you! Thank you! 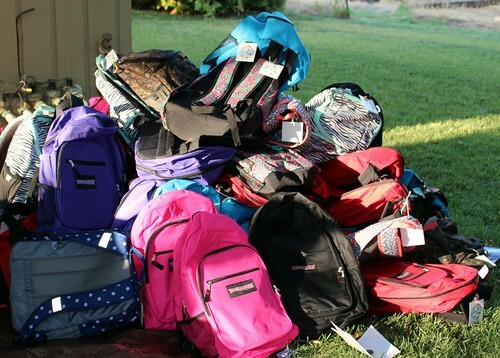 Due to the generous support of our amazing community we were able to donate over 938 backpacks to local farmworkers' families for the 2016-2017 school year through our Kathleen Barsotti Non-Profit for Sustainable Agriculture. 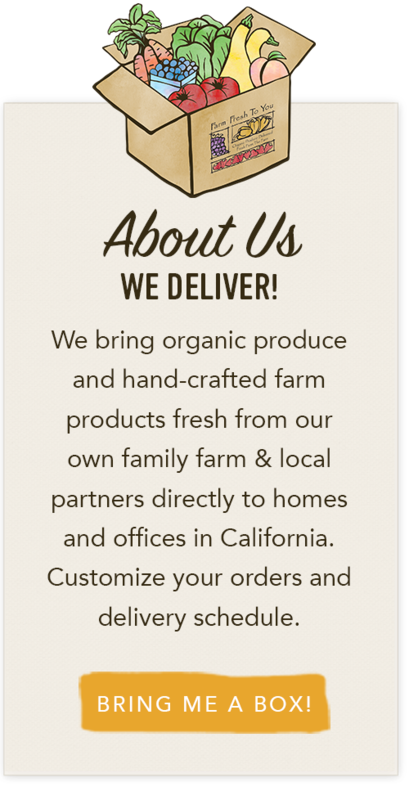 Many people ask us what our parents would think about how our CSA business has grown over the years. As may you know, our mom passed away in 2000, so she is not around to ask, but my brothers and I think she would be surprised at how many people get the Farm Fresh To You box. She would also be pleased that we are providing access to produce direct from farms to many households. We too are proud to bring produce to so many people’s tables.